High Spirits - the B (west) side of this oceanfront duplex has four bedrooms and 4 bathrooms and sleeps 8. Both sides of the duplex can be rented to accommodate a larger group, and the interconnecting door between main levels can be opened on request. The master bedroom has a king bed and an oceanfront private deck to enjoy morning coffee. There is a king in 2nd bedroom, and a queen in each of the other two bedrooms. Other amenities include a fully equipped kitchen, washer/dryer, ceiling fans throughout, sundecks, covered porches, wireless internet and 3 cable TVs. 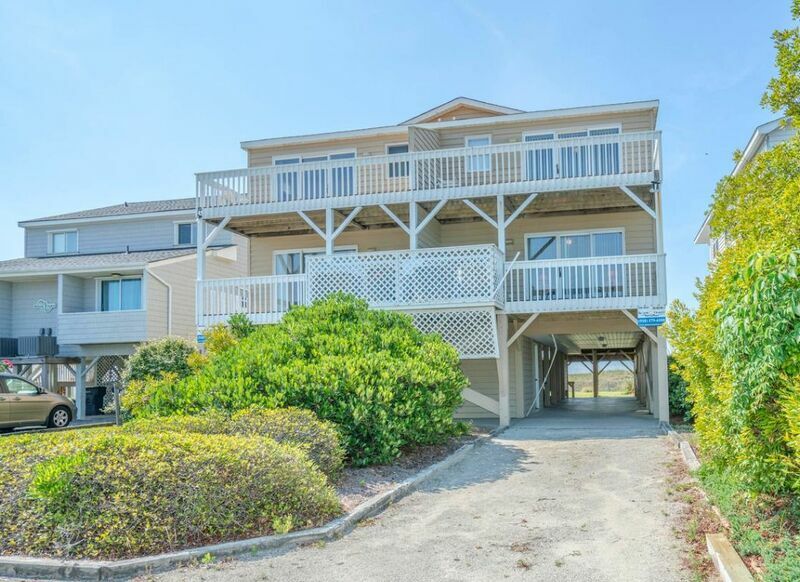 The duplex has gorgeous views from the oceanfront deck and easy access to the beach just steps away at 1318 East Main.